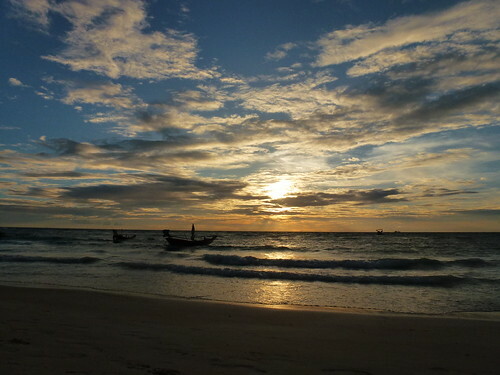 We’ve spent the last week lounging about and stuffing our faces on Koh Tao, in Thailand. My brother has been living on this little island for nearly 10 years, and even though we’ve been to visit him before, we never get tired of watching the sun set from one of the many local beach bars. After three days of clouds and rain we finally got a hot sunny day and were happy to sit at my brother’s bar, Maya Beach Club, sipping mojitos and checking out the longtail boats as they bobbed around on the tide.